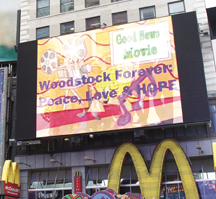 The Peace Day Party (Woodstock Forever: Peace, Love & HOPE Trailer Premier) in Times Square on 9/21 Was a Major Success Worldwide. 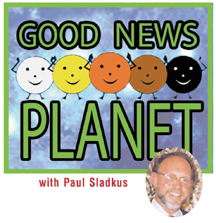 Go to: www.facebook.com/goodnewsplanet to see our LIVE Broadcast. Please Join Us Next Year and Watch for our World Water Day Concert in March. All the 193 countries of the UN unanimously agreed to a Day of Peace. McKinsey & Co. state that there are 1.6 Billion people aware. Peace Day Party Show Details: Schools all over the world participated and we will include them in our final broadcast on www.goodnewsplanet.Tv and www.peacedayparty.org 40/20 Foot Stage 46th off 7th Ave. with Hugg a Planets, 197 Flags of the World from May Peace Prevail on Earth, Reid Stowe World’s Greatest Sailor Peace Art, Vid San Doz Peace Sign, Peace Lights, Barat Foundation Art. 12:20 Seqway into Its a Small World, One Love – Marley, What a Wonderful World/Armstorng, Do, Re, MI, Audience’s Participation Sing and Dance, Peace Parrots, Whole Times Square to Sing. Plus, Peace Kites. Shiang-Jiun Chen Children’s Peace Kite Project”. 12:37 Shiang-Jiun Chen Children’s Peace Kite Project”. 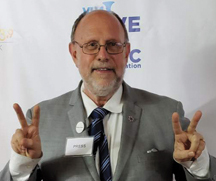 Thanks to Joel Bluestein Foundation, Sarabeth, Dr. Kazuko Gaia Holistic, American Oriental Arts Foundation, Hugg a Planet, Vigil for Peace, WE, the World, Planet Heart, Good News and Peace Day Crew, Friends and Family. 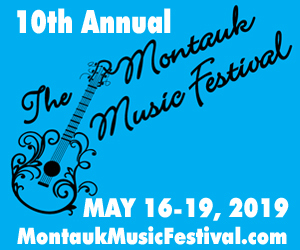 Participants in the video are: Ringo Starr, Paul McCartney, Michael Douglas, Dr Jane Goodall, Dr. Mahmet Oz, Ed Asner, Dr. Deepak Chopra, Leonardo DiCaprio, Stevie Wonder, Shikira singing Imagine, World Peace Orchestra, Broadway Show Annie, American Oriental Art Foundation/Alice Liu Manjushree Orphanage/Dr. Kazuko, SaraBeth Corporation, to name a few.